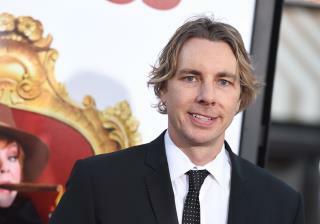 (Newser) – Dax Shepard revealed last week that he was molested as a child. In an appearance on SiriusXM's The Jason Ellis Show just getting picked up, the actor said an 18-year-old neighbor molested him when he was 7. "It was minimal. ... But even at that, it took me 12 years to tell anyone that," Shepard, 41, said. "And then all that time, I was like, a) it’s my fault, as generic as that is … and I’m gay, I must have manifested this because I’m secretly gay. I had all these insane thoughts for 11 years or 12 years." he went to a dork shrink that loves false memory syndrome. Quack city. "It was minimal." Probably the neighbor punched him in the nuts for being a jerk.